MindHelix, the team behind the Sentinel security app has found a new way to make use or up-cycle your old smartphone right in your home. 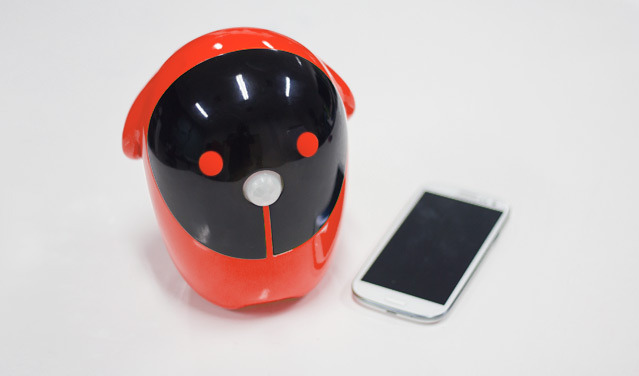 They’ve crafted a Smart Home control robot that uses an old smartphone as the brain and eyes. While smartphones could last years and years the average smartphone life for a user is 18 months. After 18 months the user may feel features are outdated or they’re approaching that ever so useful upgrade period, and they figure why not. Just go ahead and upgrade to the latest greatest smartphone. That leaves over 280 million smartphones lying around in closets, drawers, and in landfills. MindHelix wants you to use your old smartphone in Rico. Once you put your old smartphone into Rico he comes to life. 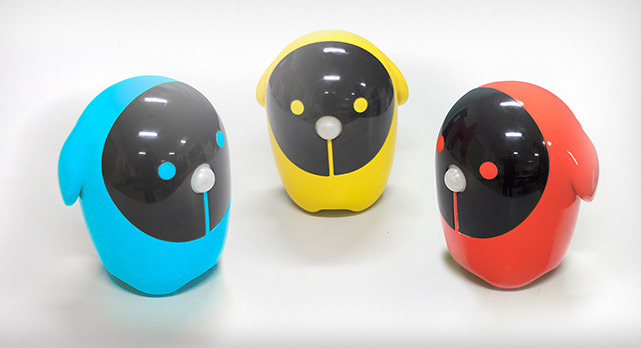 Rico is your smart home companion and when equipped with an old smartphone,c an alert the user to changes in the environment and sense things like smoke, temperature, carbon monoxide, humidity and noise. 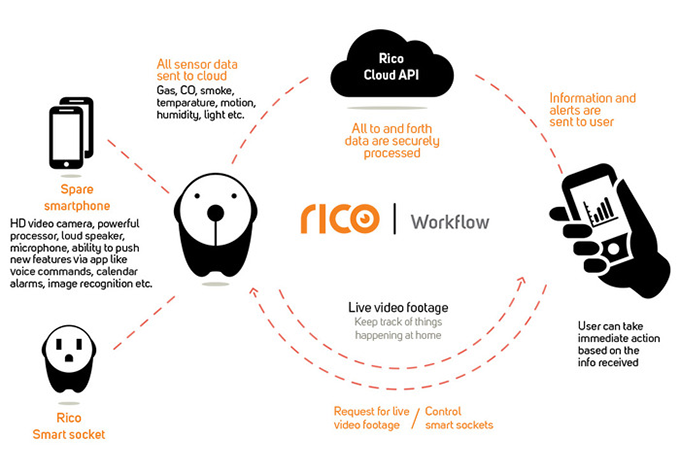 Rico can be your eyes, ears and camera and send images from your home back to your existing smartphone. It can be triggered by noise or motion and immediately bring it’s owners up to date. Rico can monitor suspicious movements, a sudden change in environment, temperature or gas and several other important details in your home. Rico can monitor several things without the use of an old smartphone including; motion detection, smoke, temperature detection, control smart sockets and devices, and a CO alert. “We value it essential to be able to reuse electronics when they would either remain unused or discarded altogether. Why not use that same device in such a way that not only prevents wastage, but gives you more features than before? Thanks to Rico, this is possible, with the life of your old smartphone suddenly beginning again.” The company said. You can find out more about Rico here.